Sigi Osagie arrived in the UK as an African immigrant with holes in his shoes, penniless and no address book. Fourteen years later, he was a global director in a FTSE250 blue-chip multinational. Today he works as a writer, speaker, business adviser and coach, drawing on insights from his atypical life journey and career success to inform and inspire others. 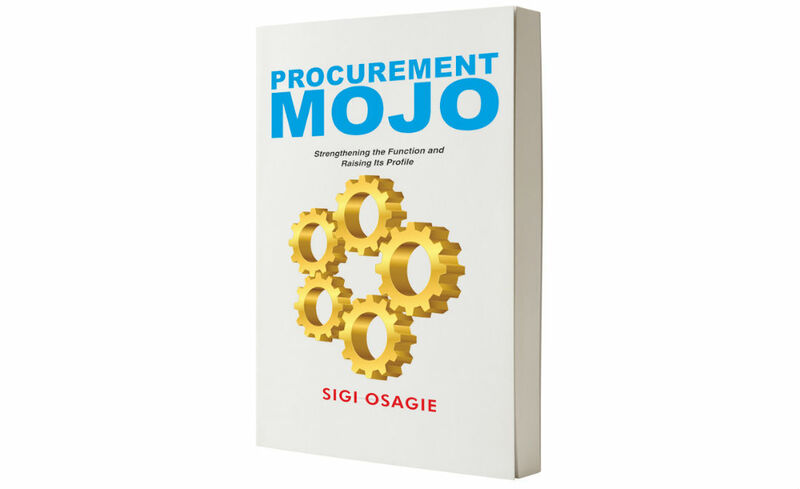 Ahead of Procurious’ Big Ideas Summit on 30 April, we caught up with Sigi to get his opinions on the development of a procurement brand, to discuss his thoughts on bringing the ‘real you’ to work and find out more about his new book, Procurement Mojo – Strengthening the Function and Raising Its Profile. An excerpt of said book is available to read here. Procurious asks: You’ve just released a new book titled Procurement Mojo. Tell us about the title of the book. What exactly is Procurement Mojo? Sigi: “Mojo” is about our ability to be the best we can be and attain success. And we should all be aiming for that; because we only get one life to live, and life is not a dress rehearsal – we won’t get the opportunity to live life again. Most of us will spend most of that lifetime at work. So bringing out our best selves in the work we do is part of our personal success. For Procurement folks in particular, it’s vital; because purchasing is a people-centric activity – our ability to manage ourselves effectively and nurture productive relationships with others is a critical component of our work success. The title “Procurement Mojo” brings those two things together – finding our mojo in the Procurement work we do. That’s exactly what the book does: it shows readers how to up their game and get the Procurement function firing on all cylinders. Procurious: In your book, you discuss ‘procurement effectiveness’ as one of the key tenants to procurement success. Can you provide us with some background to this concept? Sigi: In Procurement Mojo I explain that ‘Procurement effectiveness’ is the route-path to sustainable functional success. Effectiveness is central to success in any realm of life. It means doing the right things to achieve our desired outcomes. In some senses, it’s quite a simple notion to grasp: if your desired outcome is to head off to your right, then you take a step in that direction; if you want a clean car, you wash it yourself or take it to the carwash; if you want some dangerous excitement in your marital life, you get a lover. The outcomes most Procurement functions want are not as simplistic as having a clean car or marital excitement. But the same basic tenet applies – do the right things, or take the right actions, to achieve what you want. Procurement wants more relevance and recognition in the enterprise. Many Procurement functions still focus their actions entirely, or principally, on “cost savings” and other rudimentary elements of purchasing. Or they invest significant resources on “transformations” centred on process or systems enhancements. But they pay scant attention to what matters most: people. The challenges that hold most Procurement functions back tend to be people-related or ‘soft’ issues – organisational cultures that don’t adequately recognise Procurement’s value; egotistical or ineffective executives who make short-sighted decisions; talent gaps inside Procurement; territorial stakeholders outside the function; and so on. If the actions we’re taking in our Procurement approach don’t address these root-cause issues robustly, then they are not the right actions to focus on! This is one of the simplest indicators of the inherent level of Procurement effectiveness. Procurious: One of the issues that really jumped out at us from your book was the discussion around developing a procurement brand. Can you provide some insight into the importance of developing a procurement brand both within a business and externally with suppliers? Sigi: A superb Procurement brand is the pinnacle of functional success. Nurturing a credible Procurement brand requires an integrated approach internally and externally, which is part and parcel of improving effectiveness. Everything we do properly in the first 4 steps to enhance Procurement effectiveness – the organisation; the enablers; the supply base; and the performance framework – helps nourish the Procurement brand, within the enterprise and with suppliers. Additionally, it is necessary to be organisationally savvy and apply some marketing approaches, like incorporating customer-centricity to Procurement’s ethos and leveraging effective PR. It is important for Procurement people to grasp this, because perceptions can often be more important than reality. And it is the perceptions people have of Procurement that shape Procurement’s brand image. Procurious: Some of our member have suggested that the ‘pay to stay’ scandals at Premier Foods and the ongoing saga with Tesco’s supply chain has damaged the procurement brand across the board, do you feel this way? Sigi: I understand those sentiments. And I agree with the requirement for ethical practices. However, I’m not sure how damaging it’s been for Procurement as a profession; because the average man on the street knows “Tesco” but doesn’t have a clue what “Procurement” is. I think some people in the professional class might have raised an eyebrow, but I imagine many of them are mature enough to recognise that such ethical issues are likely to stem from, or be sanctioned by, the top team, not just the department functionally responsible. A fish rots from the head down; and I think most people know this. It’s more likely that Premier Foods and Tesco have suffered much greater corporate reputational damage than any damage the Procurement brand might have sustained. Procurious: At the Big Ideas Summit you’ll be discussing “Authentic Leadership and the Importance of Bringing the Real you to Work”. Can you provide us some background on this concept and why you believe that encouraging people to be themselves at work will facilitate a more effective work place? Sigi: I’ll be talking about the importance of ‘people’ issues to Procurement success, under the summit theme you mention. I’ve somewhat indicated why this is important in my response to your first question. I should add that when we manage organisations in ways that don’t release people’s enthusiasm, energy, excitement, emotion, effort and expertise – what Charles Handy called the ‘E’ factors – it’s a ‘lose-lose-lose’ situation. It’s a loss for the individual who gives us more of their lifetime than they spend with their family, because we don’t help them expose their true potential and abilities to excel. It’s a loss for the organisation, because we miss out on the opportunity to leverage those abilities for enterprise success. And it’s a loss for society at large, because, in the end, societal development is dependent on our collective abilities and efforts. We can certainly do more in this regard, and attain greater success for more organisations by helping more people find their mojo. 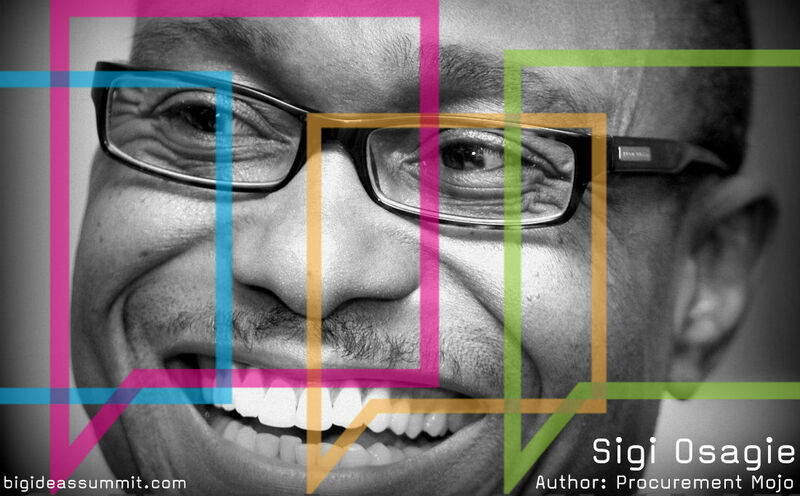 Sigi will join 40 influencers and thought-leaders at the Big Ideas Summit on 30 April. You can attend ‘digitally’ by registering on our Group page. Stay tuned for exclusive video interviews, articles, discussions and more.